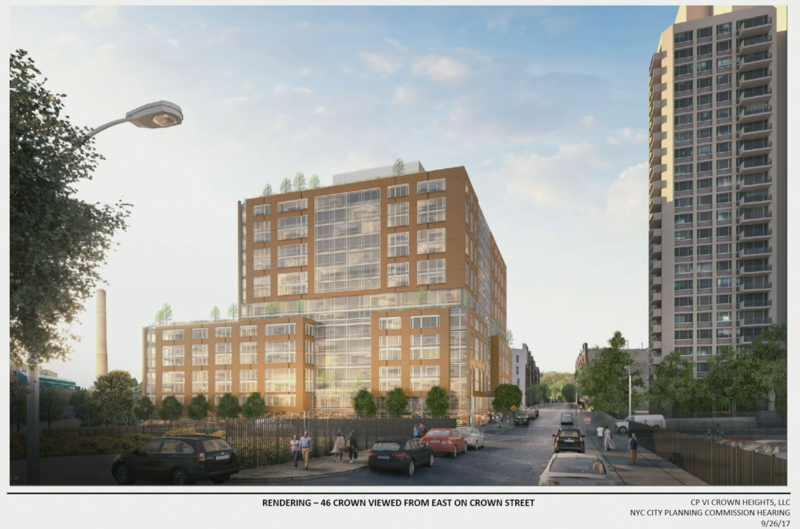 Renderings used in a presentation for Franklin Avenue Rezoning on 09/26/2018. The Lincoln/Continuum site of the old Spice Factory is to the bottom right with the tall chimney stack. 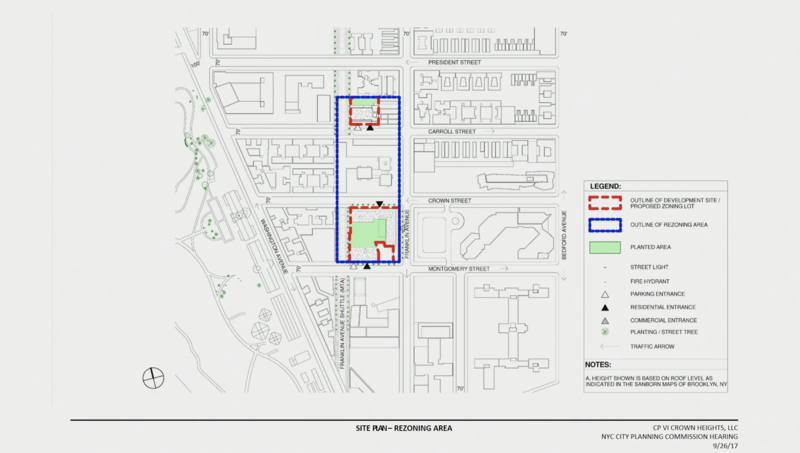 CROWN HEIGHTS – There are two large projects proposed for Franklin Avenue between Empire Boulevard and President Street in Crown Heights, and both are being fought over the potential shadows cast on the Brooklyn Botanic Garden (BBG). 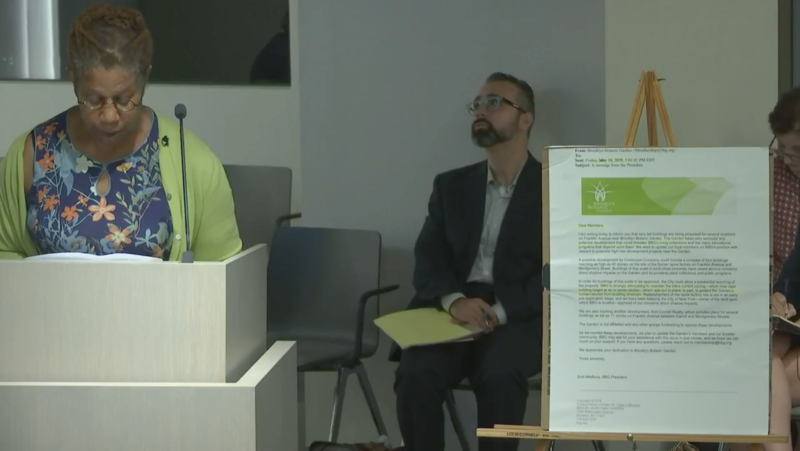 Movement To Protect The People (MTOPP) has been collecting petitions and alternative shadow studies to object to the Franklin Avenue Rezoning, however, the Brooklyn Botanic Garden is only concerned about the impact of one of the proposed developments. 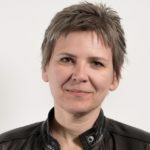 “Of most urgent concern to the Garden is the other proposal by Continuum Company and Lincoln Equities for a complex of four large towers, the tallest of which could be 37 stories, on the former spice factory site at Franklin Avenue and Montgomery Street. The size and proximity to the Garden of the Continuum/Lincoln project could have serious negative impacts on our plant nursery and conservatory gardens. 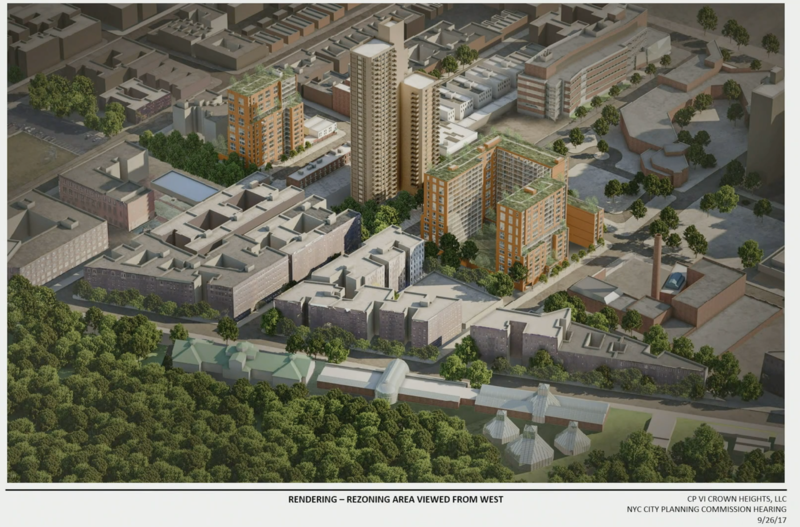 There is little detail currently available about the project at the old Spice Factory site, however, the September 26 public hearing at the NYC Planning Commission included a review of the Franklin Avenue Rezoning – proposed rezoning of a stretch of the western side of Franklin Avenue between Montgomery and President Streets, that would allow for the construction of two residential towers – 40 Crown Street and 931 Carroll Street on either side of the Tivoli Towers by CP VI Crown Heights LLP, and Cornell Realty Management. 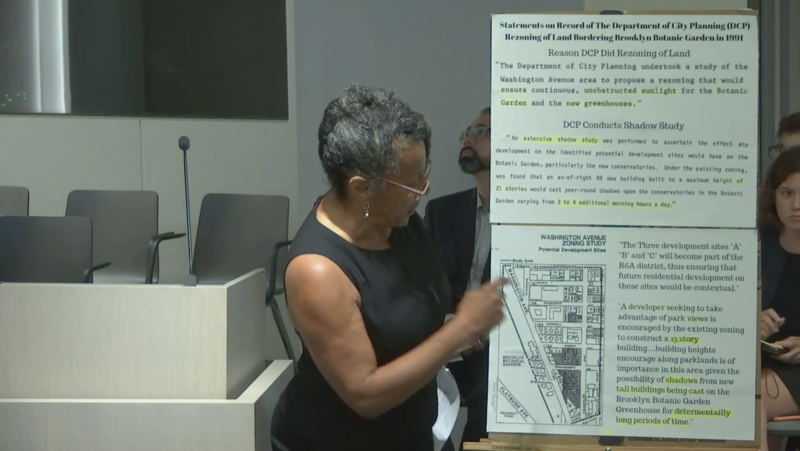 Community Board 9 (CB9) objected to the rezoning, without providing the Planning Commission any information as to the reasons why – leaving them puzzled. Not a single member of CB9 voted in favor, 17 voted against and 7 abstained. 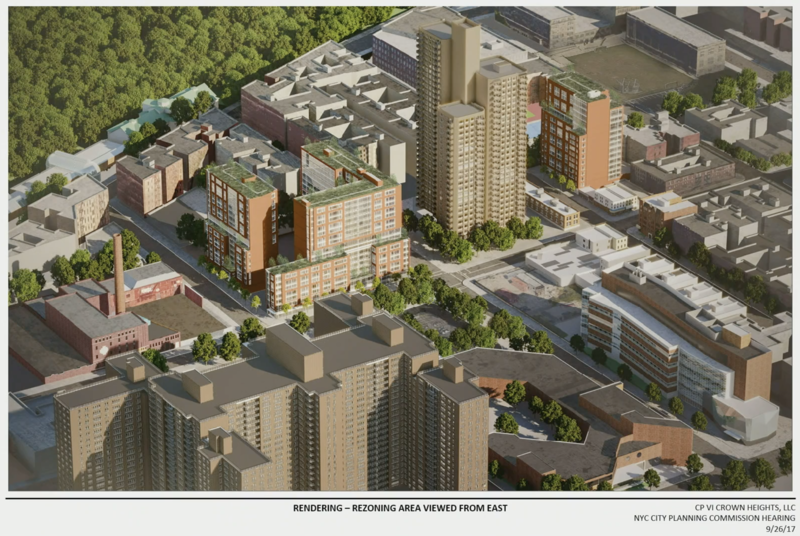 The new buildings would be situated about a block from Ebbets Field Houses, that are 27 stories tall, and across the street from Medgar Evers College and Jackie Robinson Playground. 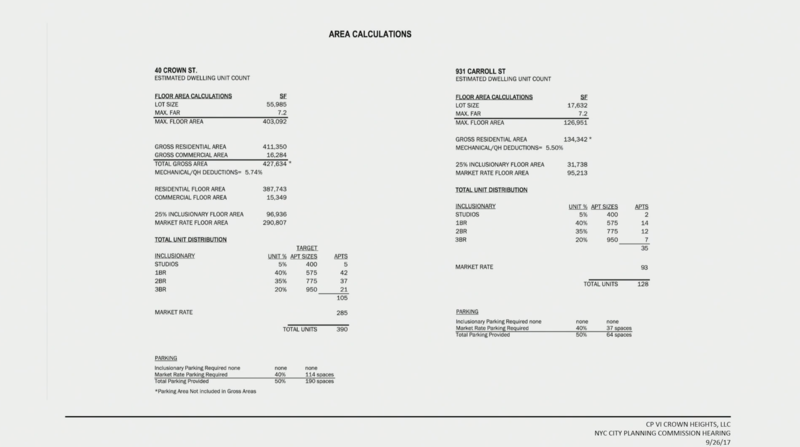 During the public hearing, MTOPP representatives presented two alternate shadow studies. 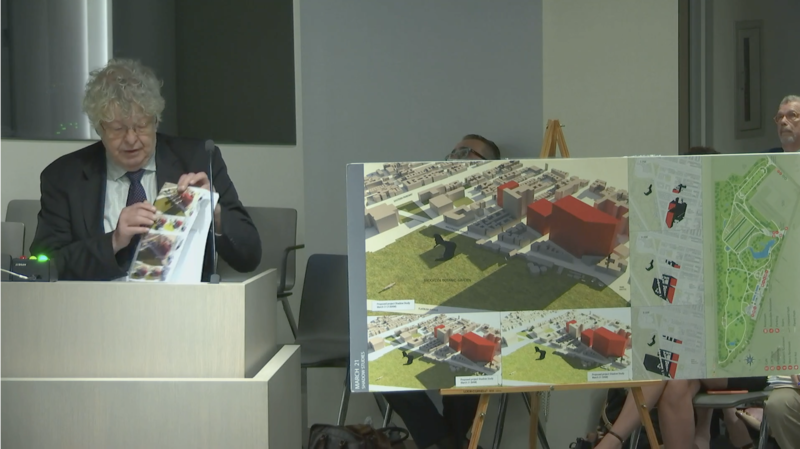 The image below includes both proposed projects – the Franklin Avenue Rezoning and the as yet to be proposed development at the Spice Factory site (the large red development towards the right). 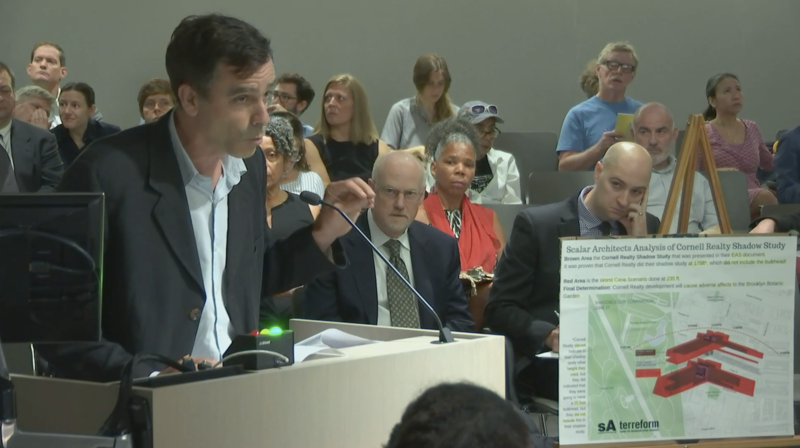 They quoted from the 1991 rezoning of the area, advocating against developments that envision building staller than 13 stories to protect the Brooklyn Botanic Garden. As stated before – BBG is not concerned about the shadows cast by the rezoning under consideration at this hearing, but are concerned about the shadows from the four potentially 37 stories tally towers at the Continuum Company / Lincoln Equities site at Franklin Avenue and Montgomery Street. While the BBG is not taking a position on this rezoning, a BBG member entered an earlier email from BBG to members, which details that the garden will monitor any potential impact, as evidence that BBG was opposed to the project. There were no representatives from the BBG at the hearing. 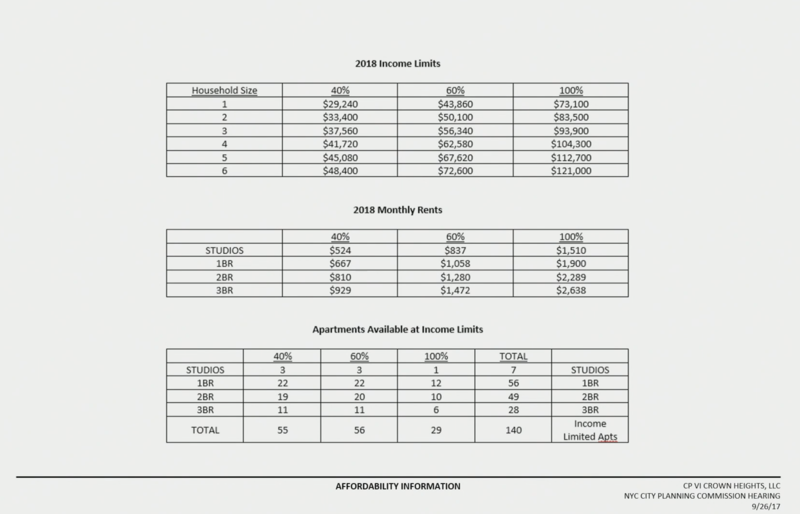 Editor’s note: all slides in the presentation to NYC Planning Commission on 9/26/18 were mislabeled as 9/26/17.